With our dedication to customer service matched with unbeatable quality workmanship you can trust Affordable Bifolds Doors in Perth. 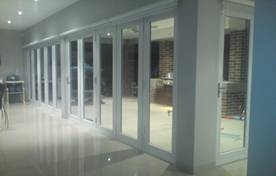 No matter what your style, colours or range, we have one of the widest ranges of bifold doors and products in Perth. We also offer a wide range of additional bifold door products and accessories to improve the look and feel of your Perth property. No matter what style, shape or design of bifold doors you desire for your Perth property, Affordable Bifold Doors have the solutions to meet your needs while working within your budget. With our largest ranges available directly to the Perth community, you are guaranteed to find the perfect bifold doors update or match your existing décor. 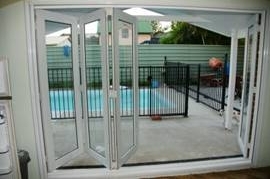 Many other bifold doors constantly need adjusting from time to time, due to being supported from the top track. 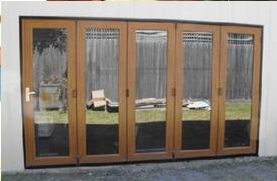 At Affordable Bifold Doors in Perth we have overcome this problem by supporting the bifold doors from the bottom rollers and track (no bottom sleeve), ensuring they will never sag or become hard to open or close. We are one of the only bifold door companies servicing Perth that supply such dedication to quality products and services. This is one reason why Affordable Bifold Doors is fast becoming a leading bifold door company servicing Perth and the surrounding areas. At Affordable Bifold Doors our folding doors have been engineered to give you many years of trouble free service. We have many sizes of bifold doors, from 3 panels to 9 panel folding bifold doors systems. We are constantly working on new designs and sizes to improve our range and features. We have painted white/silver/black PVC or laminated timber wood grain textured. No matter how large or small your Perth based property is we can tailor design a bifold doors system that meets you needs. When you contact our reliable and professional team from Affordable Bifold Doors you are guaranteed quick installations match with unbeatable prices. At Affordable Bifold Doors our entire bifold doors team have been professionally trained and worked within the industry for many years. With our accumulated knowledge, you can be assured that Affordable Bifold Doors will install all of your items correctly the first time. All of our bifold doors and products from Affordable Bifold Doors have been tried and tested in numerous settings to ensure we only supply our clients with the best products available. 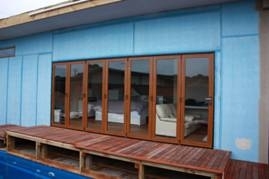 This is just another reason why Affordable Bifold Doors is regarded as the local bifold door specialists servicing Perth and the surrounding suburbs. Contact Our Affordable Bifold Doors Experts Today! 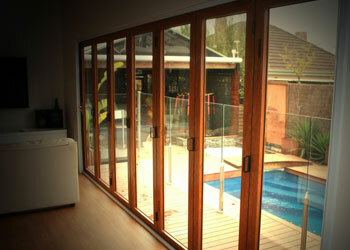 Affordable Bifold Doors spend a great amount of time researching each product, always improving existing products. We carry a wide range of spare parts including glass panels. 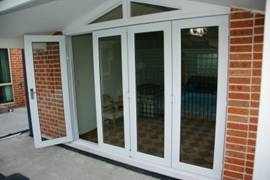 We also currently supply builders of new homes with windows / folding doors. For more information contact Affordable Bifold Doors today or call our Perth based showroom to arrange a personalised consultation to discuss the best options for your home or office. Anything You Desire... We Can Build! Whether you are looking for stylish bifold doors to patio and lighting solutions, Affordable Bifolds has the knowledge and skill to provide you with a wide range of products and services at affordable prices. To arrange a consultation with one of our bifold door specialists, please contact Affordable Bifolds today.